CAMRA Vancouver is making good on its promise to put the Campaign back into CAMRA by launching their Fess Up to Serving Sizes (FUSS) Campaign. Fuss is aiming to get licensees to comply with their legal obligation to make available to customers serving size lists for alcoholic drinks sold in licensed establishments and not about trying to get licensees to favour one measure over another. The campaign is not trying to tell licensed establishments what sized pours to offer, or alter their pricing, but is aimed at making transparent for the consumer what exactly is being offered for what price. If CAMRA Van is successful in reaching their goal, consumers will no longer be in the dark as to just how much draft beer to expect to be served to them when they are ordering their favourite draft brews. No longer could bars advertise "pints" while actually selling much smaller sleeves because the measure would be defined in actual millilitres and ounces. Consumers would actually know, ahead of time, what sized sleeve they were ordering - sleeve glasses range from 341ml (12oz) to 454ml (160z) with all looking almost identical - instead of trying to figure out the beer glass's capacity after it is delivered to their table. Although there is a law in place that dictates a licensee must have a list available to patrons outling the prices and serving sizes for all alcoholic drinks available, few establishments comply and the BC Liquor Control and Licensing Branch seems to have little interest in enforcing one of the few BC liquor laws that actually benefits consumers.. To make matters worse, more often than not servers and bartenders have no idea as to the measure they are serving, or are misinformed, causing them to misleading customers when asked about glassware capacities. Although CAMRA is advocating on behalf of craft beer drinkers, the issue of misrepresented serving sizes and/or lack of disclosure by licensees as to what measure they are indeed serving affects all draft beer drinkers in BC. Whether you order a locally-brewed craft beer or a macrobrew lager from one of the national breweries, you want to know what you are paying for in advance of making the decision to order. Get behind this if you care about your consumers`rights. How can you complain about being short-poured when you have absolutely no idea what a full-pour measure is...stand up for your rights!! First step, sign CAMRA Vancouver`s on-line petition which they will present to the BC Liquor Control and Licensing Branch in the future. 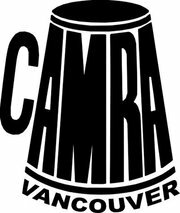 For a more in-depth read about what FUSS is all about and what CAMRA Vancouver's action plan is, click here. While on the subject of CAMRA, I think it is important to note CAMRA BC has just announced their combined membership (individual & corporate members) has gone over the 1,000 mark!! The more voices speaking in concert, the louder the voice. I know there are a growing number of craft beer lovers out there in BC who are not CAMRA members. Many have stated to myself the reason they are not members is that CAMRA BC and its BC chapters are nothing more than a beer appreciation group...well, see the above post about the FUSS Campaign for proof that CAMRA chapters in BC are getting more active and doing more than organizing drink-ups. Click here to join in the fun and help support the craft beer consumers of this province in their quest to be able to more readily access locally-brewed, craft beers served in the proper manner for fair prices. It is a great way to educate yourself about craft beer, home brewing and the craft beer industry in general and gives you a chance to have a voice and help shape our local craft beer community.